In the faraway Mushroom Kingdom, princess kidnapping is almost a daily occurrence. But alas, this is not that place, her name ain’t Peach, and you’re not a short fella in red overalls. Oh and she hasn’t really been kidnapped, so much as… turned into a statue. Right. Well, she’s still in need of a proper old-fashioned rescue, ya know? So jump, wizard! Jump! 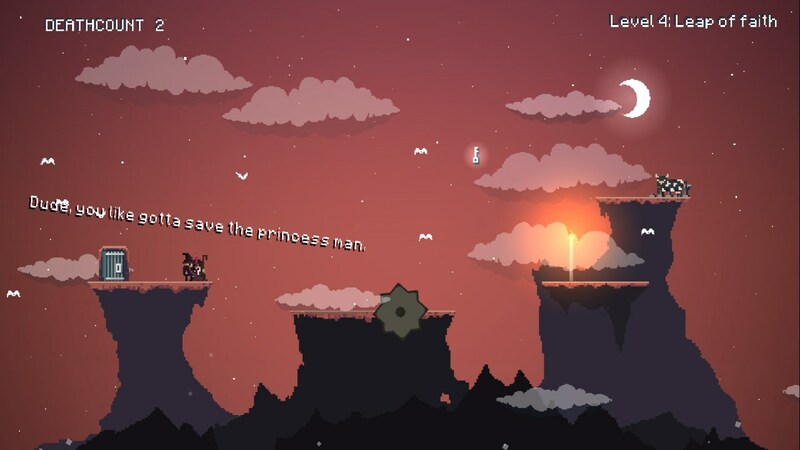 Now, just in case that screenshot at the top didn’t give it away, WizardWizard is not an easy platformer. Not even remotely. 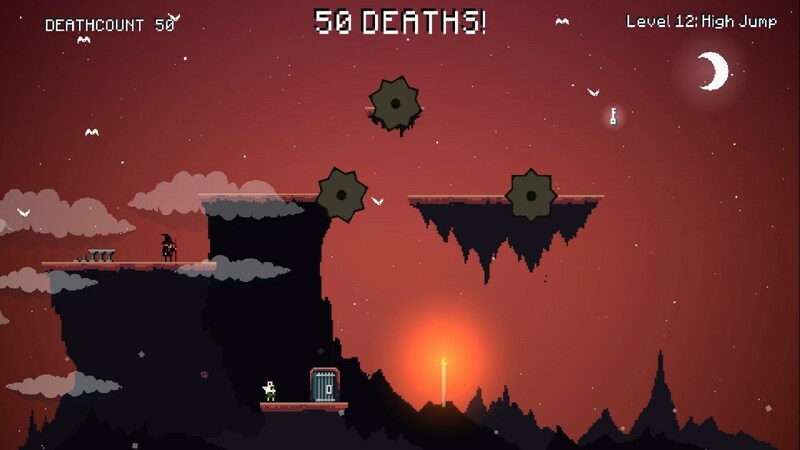 You will die, and often at that, in spite of the game packing both tight controls and non-cluttered visuals. What I’m saying is, you shouldn’t blame the game for any deaths that may occur along the way. Take it out on the wicked being that turned the princess to stone instead! Oh and you don’t have any spells or other fancy things. In their place, the ability known as ‘double jumping’ has been mastered (wait, what?). Magic or not, finishing each level is still quite easy… on paper: grab the key, get back to and go through the door – without dying. In reality, the experience is much more brutal. Sure, the first few levels don’t pose much of a challenge, with but a few stationary saws to dodge. But then the darn things start moving, spinning and doing all sorts of crazies! Oh boy. By the time I’d reached level 9, which is, ironically, called ‘Piece of Cake’, the on-screen death count read 30. Still kept going though, because, damsel in distress and all that. But then, at some point during the 12th level – with a grand total of 50 deaths – I decided to call it quits and write this article instead, her royal highness be damned. That’s not to say I didn’t enjoy the game, because for the most part, I actually did. It’s just that I don’t really get along with precision platformers, in general. I do love how each casualty ended with only his skull and staff shown, though – how everything else was just… gone. WizardWizard got wicked hazards for sure. Those who feel like facing the challenging task of rescuing a petrified princess can acquire WizardWizard for the low price of you-name-it. Windows and OS X only, but at least there’s no DRM.